Okay, so I am not on the Nahanni all the time, or even every summer. But I have been on the river a few times, telling stories around the campfire about Patterson and Faille and others. I wrote the biography – R.M. Patterson: A Life of Great Adventure – and am still fascinated with the legends, lore and lure of the big river. When our daughter Annie was a teenager, she joined my wife Jeannie and me as we canoed the Nahanni. Annie now has a baby – John Finch – and she and her partner Dominic Bounadere are conspiring with John’s grandparents to see how soon we can get the wee dude on the Nahanni. 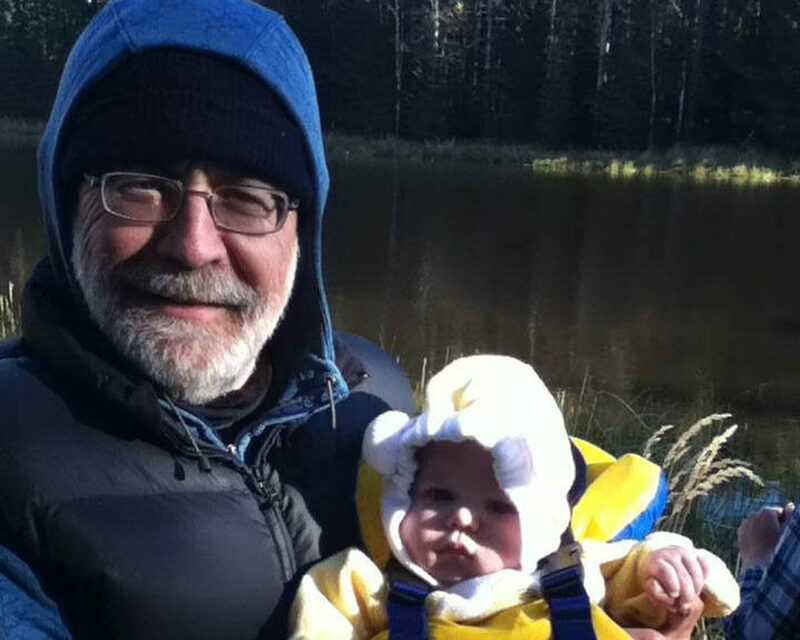 Born July 8, 2012, John first went canoeing in October – as per the photo here.